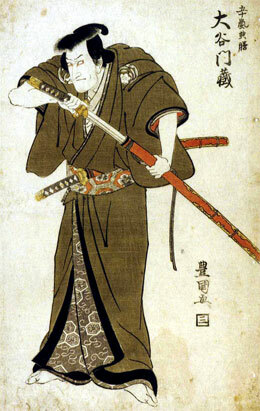 The actor Ôtani Bajû II held the name of Ôtani Monzô I from the 11th lunar month of 1787 to the 10th lunar month of 1797, then from the 11th lunar month of 1803 to the 10th lunar month of 1816. 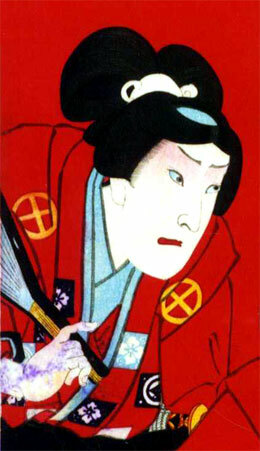 The actor Ôtani Bajû III held the name of Ôtani Monzô II from the 11th lunar month of 1820 to the 10th lunar month of 1840. 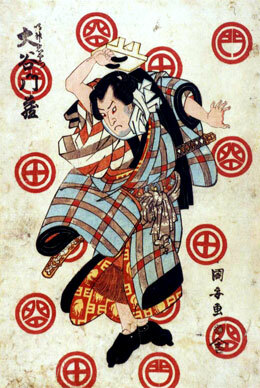 The actor Ôtani Bajû V held the name of Ôtani Monzô III from 1873 (?) to February 1889.